Coral Reefs in the world are estimated to cover 238,224 sq. miles or about the size of Texas. The United States has about 6,500 sq. miles of coral reefs under its jurisdiction and 83% of those are around Hawaii. 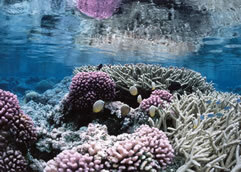 National Parks that have coral reefs include: American Samoa, Biscayne, Dry Tortugas and the Virgin Island. 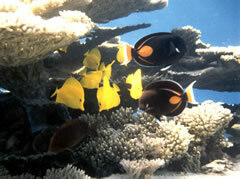 There are also several National Wildlife Refuges especially in the Pacific that have coral reefs. Even though coral reefs make up a small part of the world's marine ecosystem, one quarter of the world's ocean fish call them home. 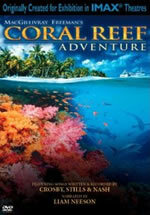 Coral Reefs are one of the most biologically varied ecosystems in the world. Coral Reefs are built by tiny sea animals that secrete skeletons of calcium carbonate. When they die they leave their skeleton which forms a foundation for the next generation of animals. This foundation can be hundreds of feet thick and last for millions of years. The living part of a coral reef is very thin and fragile. It is estimated that human activity has destroyed 10% of coral reefs worldwide and currently an additional 30% of coral reefs are threatened by human activity. Damage to coral is caused by over fishing, pollution, starfish infestation and illegal harvesting of coral for jewelry, curios and people's aquariums. People who buy corals, live rock, and marine fish should ask the merchant to inform them about where these products came from and how they were collected. 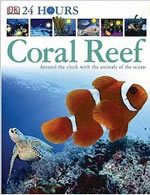 This will help insure you are not part of the problem by buying illegal coral products.